Orbital ATK is currently in the midst of launching three commercial communications satellites built on its new GEOStar-3 satellite bus. As you read this online, keep in mind that communications satellites enable the transmission of data for television, telephone, radio, internet and military applications. 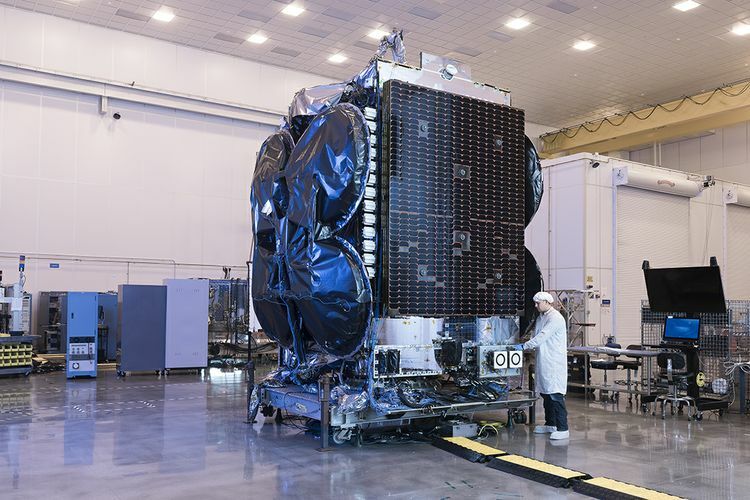 While the GEOStar-3 bus is the largest and most complex satellite ever built by the company, Orbital ATK’s GEOStar product line has a long legacy of providing innovative, affordable and highly reliable satellites for customers around the globe. The first GEOStar satellite, Indostar-1, launched in 1997 and provided cable television throughout Indonesia. Since that launch, Orbital ATK has produced more than 35 GEOStar satellites for a variety of customers and missions, and when combined, the company has 290 years of cumulative GEOStar in-orbit experience. Al Yah 3, a satellite built on a GEOStar-3 spacecraft bus, inside Orbital ATK’s Satellite Manufacturing Facility in Dulles, Virginia. These satellites are all stationed in a geosynchronous orbit, where the satellites match Earth’s rotation. This allows the satellite to stay in place over a specific area to provide uninterrupted service. The larger GEOStar-3 bus provides increased battery capacity and solar array power, enabling it to provide up to eight kilowatts of power to the payload, which helps customers meet the demands of our highly-connected world. 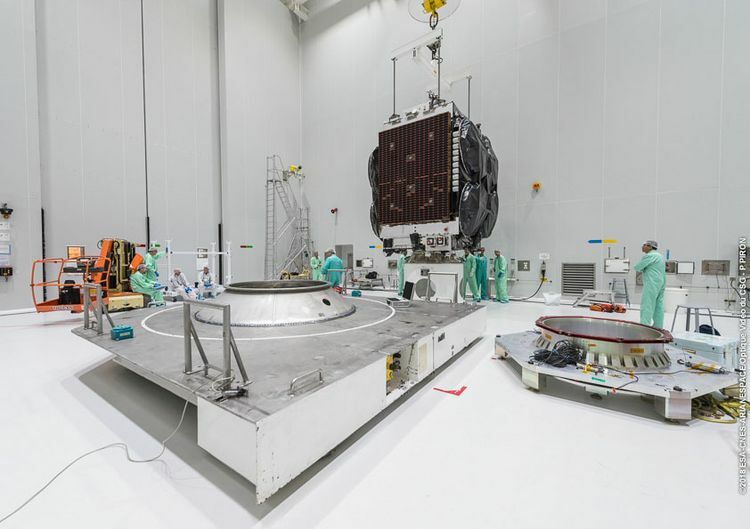 The bus is also highly versatile and can be customized to fit mission needs, including compatibility with all commercially available launch vehicles and the option to launch in tandem with another spacecraft on certain launch vehicles. In addition to increased payload power, GEOStar-3 also has the option of utilizing electric propulsion, which allows it to complete its fifteen to seventeen year mission life with less fuel. Orbital ATK builds and tests its GEOStar satellites in its state-of-the-art Satellite Manufacturing Facility located in Dulles, Virginia. This 135,000 square foot facility is the largest in the United States east of the Mississippi River. The space hosts four separate clean rooms which help keep environmental pollutants, such as dust, away from sensitive spacecraft. The manufacturing facility is also home to the company’s environmental test area, which includes an anechoic radio frequency chamber that is used to measure antenna radiation patterns and electromagnetic interference, four vibration tables to mimic the vibrations a satellite will undergo during launch, and six thermal vacuum chambers which simulate the harsh environment of space. Beyond GEOStar spacecraft, the satellite manufacturing facility is also used to build science satellites, like the Transiting Exoplanet Survey Satellite (TESS), the Cygnus cargo resupply spacecraft which is used to deliver items to the International Space Station, and the Mission Extension Vehicle, the industry’s first commercial in-space satellite servicing system set to launch in 2018. From GEOStars to science and environmental satellites to life extension services, Orbital ATK’s innovative technologies and products represent a proud history of aerospace excellence across all of its business units.